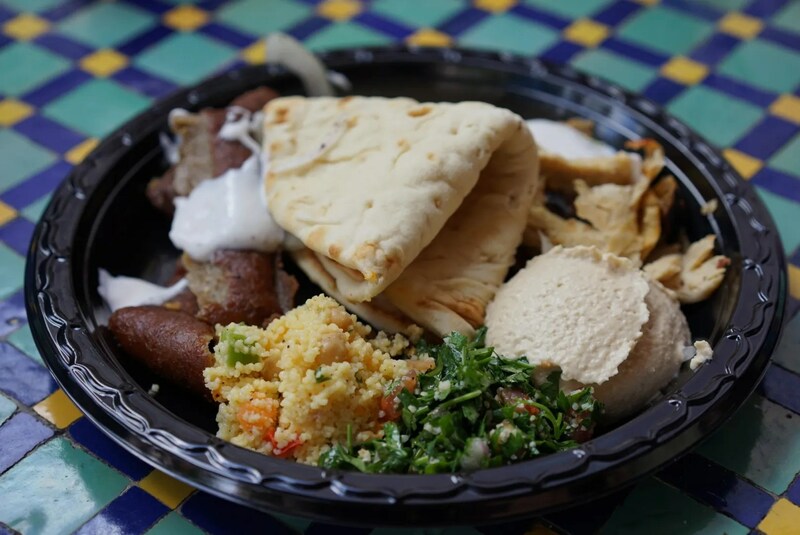 This was their Shawarma Chicken and Lamb Platter served with a side of Hummus, Tabouleh, Tangierine Couscous Salad and fresh Moroccan Bread. It was absolutely delicious!! The three of us shared this and enjoyed every single bite. 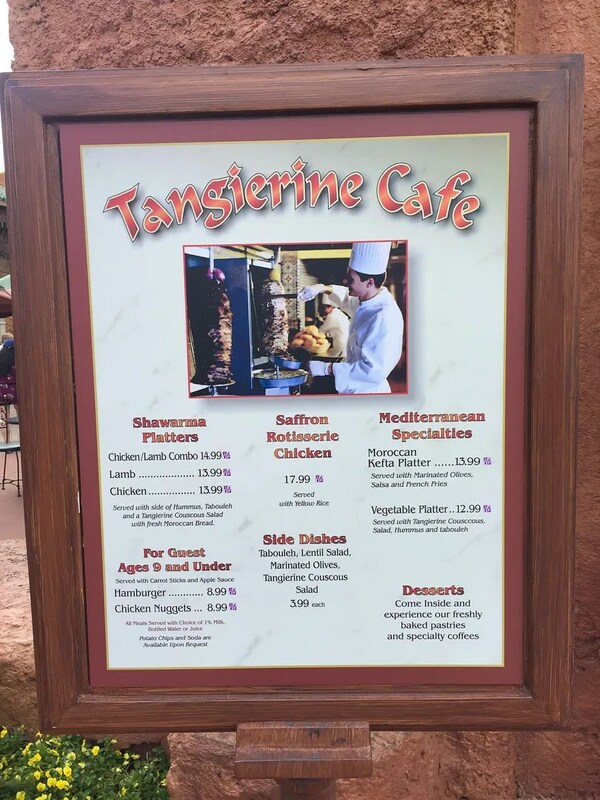 With so many great full service restaurants at Epcot, it had been many years since I had eaten at Tangierine Cafe. But after having this platter, I definitely won’t wait so long before returning. Three enthusiastic thumbs up (and a rating of 5 stars) for Tangierine Cafe! Yelp reviewers gave it only 4 stars though, and 4 1/2 stars on Trip Advisor. 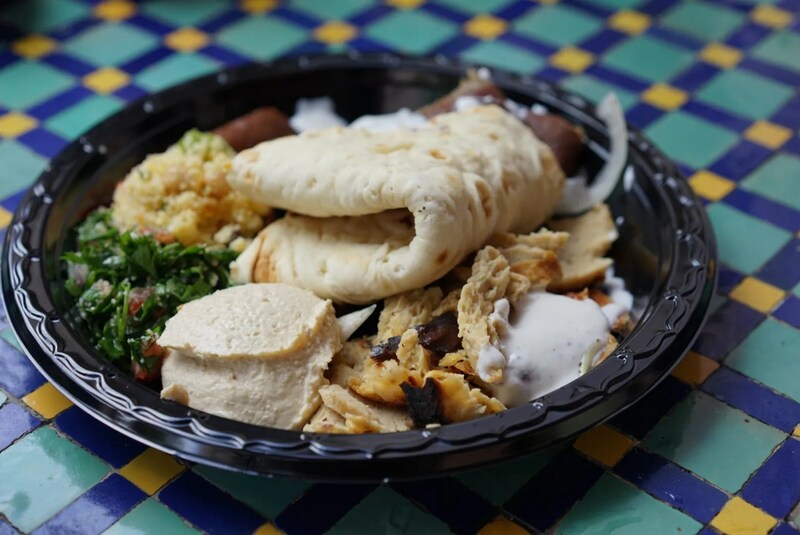 It did however rank a very respectable #182 of the nearly 3,000 Orlando area restaurants reviewed on Trip Advisor.